The only reason I hate it is because it's not mine. 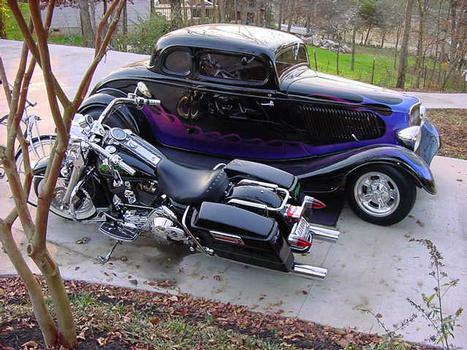 Super sweet rides! Nice car, all you need is the group ZZ Top driving your car and a guy name Oppy riding the bike. Nice, I like, very cool and very nice nice!!!! !